These are the most important Goldfinger Precision Tampers we offer. The 58 range tampers are available as 58.55 Trapeze Flat SE (sharp edge) and 58.5 Trapeze Flat, also as 58.5 Convex - other sizes on demand. 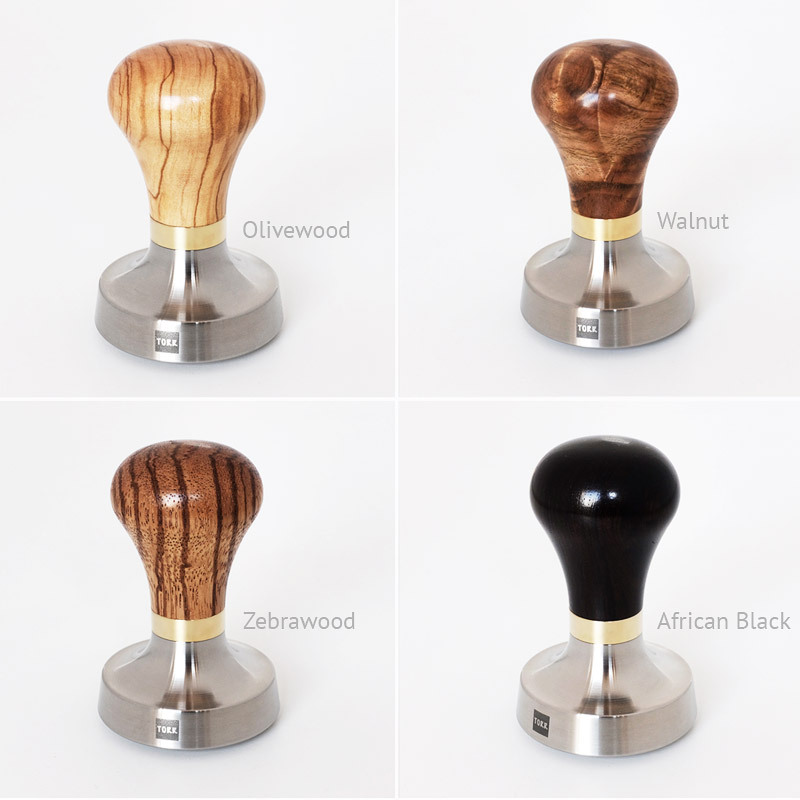 All tampers in standard semi matte finish or high gloss (+10 euros) on demand. The Goldfinger is made for those who like a heavy tamper combined with ergonomic design. All types of wood available also coated metal handles which are heavier than the wooden ones. The most important types of wooden handles are Olive Wood, Walnut, Zebra Wood and African Blackwood. The Goldfinger comes with the 8mm golden washer as a standard. Black and Inox washers in all sizes 3/5/8 mm will be an option to set the right height or to change the design. In addition to the 58.55 SE (sharp egde) we offer now the same tamper piston, made for VST/ La Marzocco baskets, with a small radius R1 for those who like to have the narrow fit but having doubts about the sharp edge. The piston can be paired with all handle sizes and designs, all washers as well. We start with some offers here.